Seagate - ST310212A SEGATE - 10.2GB 5400 RPM EIDE INTERNAL HARD DISK DRIVE. DMA/ATA 66(ULTRA) 3.5 INCH LOW PROFILE(1.0 INCH). ST310212A. IN STOCK. SHIP SAME DAY. Seagate - ST38421A SEAGATE - 8.4GB 5400 RPM EIDE INTERNAL HARD DISK DRIVE. DMA/ATA 66(ULTRA) 3.5inch LOW PROFILE (1.0inch). ST38421A IN STOCK. SHIP SAME DAY. Western Digital - AC14300 WESTERN DIGITAL - 4.3GB 5400 RPM EIDE HARD DISK DRIVE. DMA/ATA66(ULTRA) 3.5 INCH LOW PROFILE(1.0 INCH). IN STOCK. SHIP SAME DAY. Seagate - ST34313A SEAGATE - 4.3GB 5400 RPM EIDE INTERNAL HARD DISK DRIVE. DMA/ATA 66(ULTRA) 3.5inch LOW PROFILE(1.0 INCH). ST34313A IN STOCK. SAME DAY SHIPPING. Seagate - ST313021A SEAGATE - 13GB 5400 RPM ATA / IDE ULTRADMA 66 3.5inch LOW PROFILE INTERNAL HARD DISK DRIVE. ST313021A IN STOCK. SAME DAY SHIPPING. Western Digital - WD102AA WESTERN DIGITAL - 10.0GB 5400 RPM EIDE INTERNAL HARD DISK DRIVE. 2MB BUFFER DMA/ATA 66(ULTRA) 40PIN 3.5inch. WD102AA IN STOCK. SHIP SAME DAY. Western Digital - WD204BA WESTERN DIGITAL - CAVIAR 20.4GB 7200RPM IDE INTERNAL HARD DISK DRIVE. DMA/ATA 66(ULTRA) 40PIN 3.5INCH LOW PROFILE(1.0inch). WD204BA IN STOCK. SAME DAY SHIPPING. Quantum - QML15000LCA QUANTUM - 15GB 5400RPM 512KB BUFFER ATA/IDE-66 3.5INCH INTERNAL HARD DISK DRIVE (QML15000LCA). IN STOCK. SHIP SAME DAY. IBM - DJSA-210 IBM - 10.0GB 4200RPM 2.5inch 9.5MM EIDE ATA/66 NOTEBOOK HARD DISK DRIVE(DJSA-210). IN STOCK. SHIP SAME DAY. Seagate - ST317221A SEAGATE - 17.2GB 5400 RPM EIDE HARD DISK DRIVE. DMA/ATA 66(ULTRA) 3.5 INCH LOW PROFILE(1.0 INCH). ST317221A IN STOCK. SHIP SAME DAY. Seagate - ST38410A SEAGATE - 8.4GB 5400 RPM EIDE HARD DISK DRIVE. DMA/ATA 66(ULTRA) 3.5inch LOW PROFILE(1.0 INCH). ST38410A IN STOCK. SAME DAY SHIPPING. Hewlett Packard - 202903-001 HP/COMPAQ - 15GB 5400RPM ULTRA IDE/ATA-66 40PIN 3.5INCH LOW PROFILE (1.0inch) INTERNAL HARD DISK DRIVE(202903-001). IN STOCK. SHIP SAME DAY. 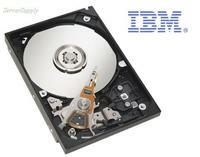 IBM - 09N0925 IBM - 30GB 7200RPM EIDE/ATA-66 3.5INCH HARD DISK DRIVE(09N0925). IN STOCK. SHIP SAME DAY. Western Digital - WD153AA WESTERN DIGITAL - 15.3GB 5400 RPM EIDE HARD DISK DRIVE. ATA /IDE ULTRA DMA-66 40PIN 3.5INCH FORM FACTOR. WD153AA IN STOCK. SAME DAY SHIPPING. Quantum - LM20A011 QUANTUM - 20GB 7200RPM 2MB BUFFER ATA/IDE 66 (ULTRA) 3.5inch INTERNAL HARD DRIVE (LM20A011). IN STOCK. SHIP SAME DAY. Seagate - ST320423A SEAGATE - 20.4GB 5400 RPM EIDE HARD DISK DRIVE. DMA/ATA66(ULTRA) 3.5inch LOW PROFILE(1.0 INCH). ST320423A IN STOCK. SAME DAY SHIPPING. Hewlett Packard - 192060-001 HP/COMPAQ - 15GB 7200RPM 40PIN IDE ULTRA ATA-66 3.5INCH HARD DISK DRIVE (192060-001). IN STOCK. SHIP SAME DAY. Seagate - ST313620A SEAGATE - 13.67GB 7200 RPM EIDE INTERNAL HARD DISK DRIVE. TIME DMA/ATA 66(ULTRA) 3.5inch LOW PROFILE(1.0inch). ST313620A IN STOCK. SHIP SAME DAY. Seagate - ST317242A SEAGATE - 17.2GB 5400 RPM IDE INTERNAL HARD DISK DRIVE. DMA/ATA 66(ULTRA) 3.5inch LOW PROFILE(1.0 INCH). ST317242A IN STOCK. SAME DAY SHIPPING. Quantum - LA08A011 QUANTUM - 8.4GB 5400RPM EIDE ULTRA ATA-66 3.5INCH LOW PROFILE HARD DRIVE (LA08A011). IN STOCK. SHIP SAME DAY. IBM - IC25N040ATCS04-0 IBM - 40.0GB 4200RPM 9.5 MM 44PIN ATA-66 NOTEBOOK HARD DISK DRIVE(IC25N040ATCS04-0). IN STOCK. SHIP SAME DAY.